I was talking to my mother-in-law the other day about how there are SO many Christian-themed books for girls have to do with princesses (“you are the daughter of a King!”) but I rarely see a book for boys about princes. She agreed with the observation and said off-handedly, “You are a son of a King!” and then we laughed because, you know, we’re really mature like that. There’s a new series on the block for young girls and there are no princesses involved. In this book, we meet Rooney Cruz, a spunky, kind and pretty normal 9 year old girl with everyday 9 year old troubles. Rooney has a run in with a group of mean girls, leaving her feeling scared and unsure of herself. Through a surprising turn of events, Rooney gets to take a peek into the past and sees how a woman named Hannah has to deal with some of the same feelings. 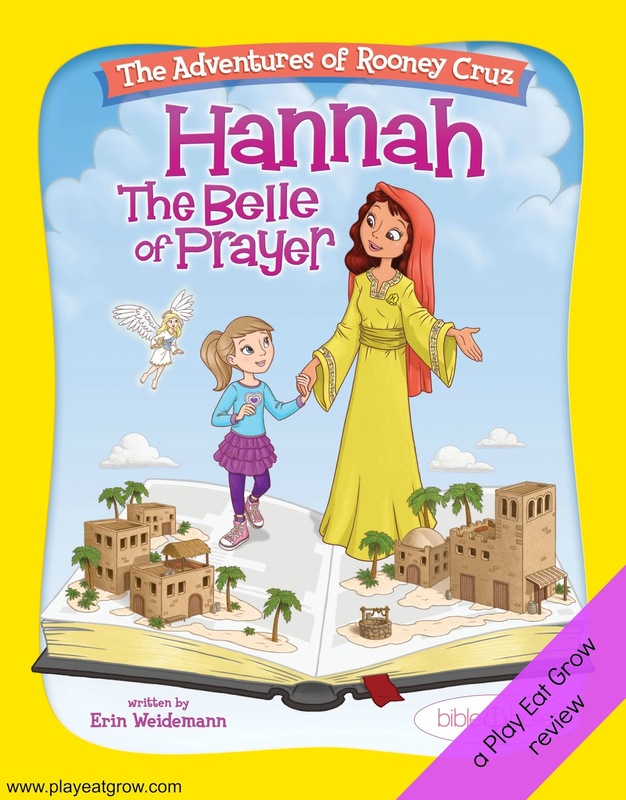 Hannah cries out to God and experiences God’s presence with her. Rooney realizes that she can do the same and that no matter what happens, God will be with her. I love the message of this story– that God is always with us and desires us to bring our questions and concerns and everyday troubles to Him. He can give us wisdom and insight into situations, and ultimately, no matter how the situations turn out, He’s there to walk with us through it all. The book is fabulously written by Erin and gorgeously illustrated by Rob Corley, a former Disney animator. We’re super excited about the rest of the books in the series, with the next one, Esther: The Belle of Patience, coming out in early 2016. To learn more about them, you can check out their website, FB page, or follow them on Instagram.